Year: 1898 Item #: 125 Views: 5,775 Comments: No Comments. 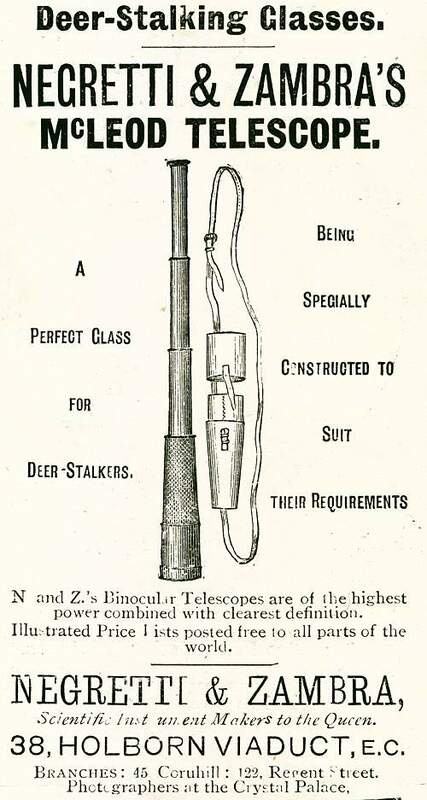 A perfect glass for deer-stalkers. Being specially constructed to suit their requirements. N. and Z. 's Binocular Telescopes are of the highest power combined with clearest definition.